by Dragados Offshore Mexico S.A de C.V. 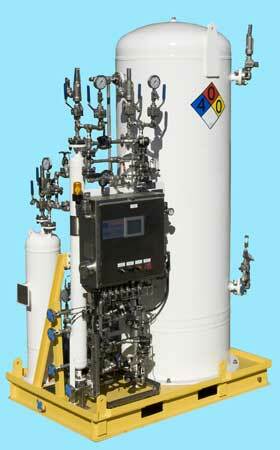 The Nitrogen Generator included a Nitrogen Booster and Nitrogen Storage Tank to safeguard the delivery pressure. This system will be used for Blanketing and Inerting applications and was built to Class 1 Div 2 Group C, D. In Addition, GENERON worked closely with PEMEX to ensure the nitrogen system was designed and built according to PEMEX specifications.